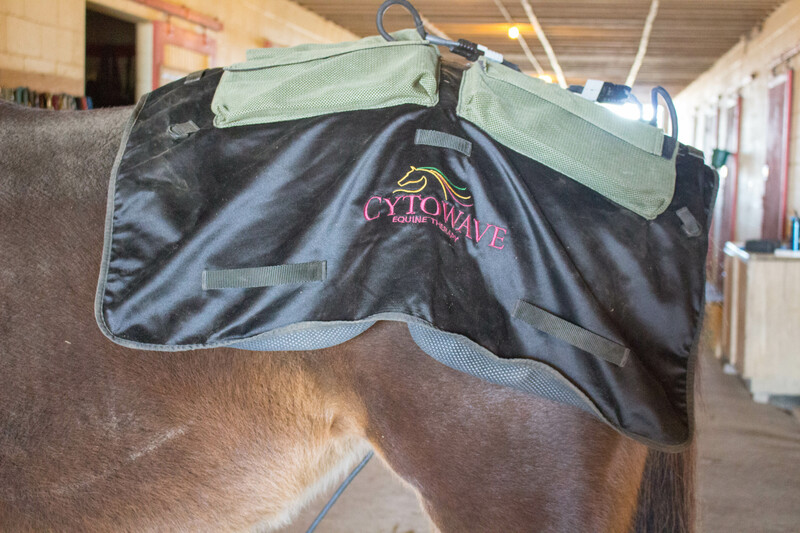 Annora, a 6-year-old daughter of Nobiz Like Shobiz, stood quietly in the aisle of the Kentucky Equine Humane Center barn as she received treatment through a Cytowave Equine blanket on her back, and began to doze off. "When she first came in she was very muscle sore all over. So I started doing massages and worked on getting those muscles relaxed," said Sarah Gatchell, an intern at KyEHC and a student at Midway University. "With the Cytowave... I've noticed some great improvement." 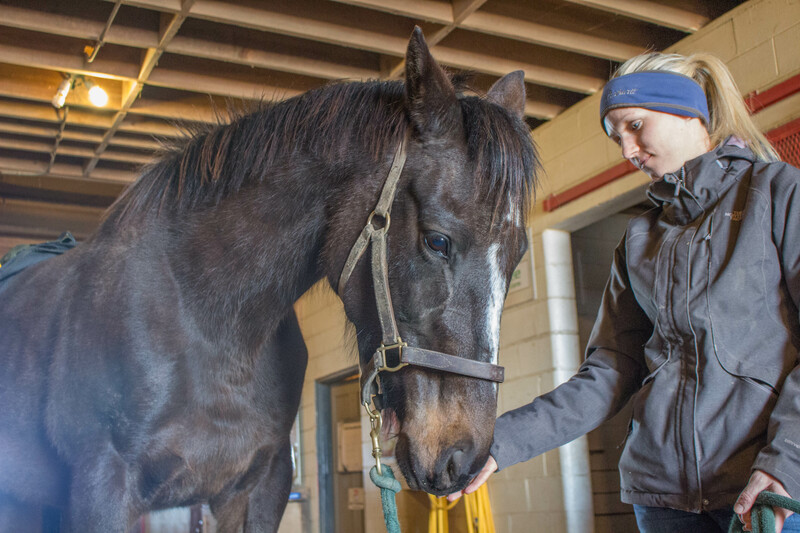 While Annora isn't a high-maintenance horse, the organization said they would just like to see her reach her full potential, which is why they are using various therapies on her. It's a big transition from where she was just a few months ago: abandoned in a field. The KyEHC rescued Annora from the high-profile situation that involved about 40 horses left on a farm near Harrodsburg, Ky. leased by Charles Borell and his daughter, trainer Maria Borell. Annora's listed breeder is Maria Borell. 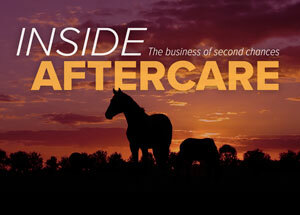 When the situation arose, KyEHC offered to take horses from the farm and ended up taking Annora and another mare, who the center has named Studio. 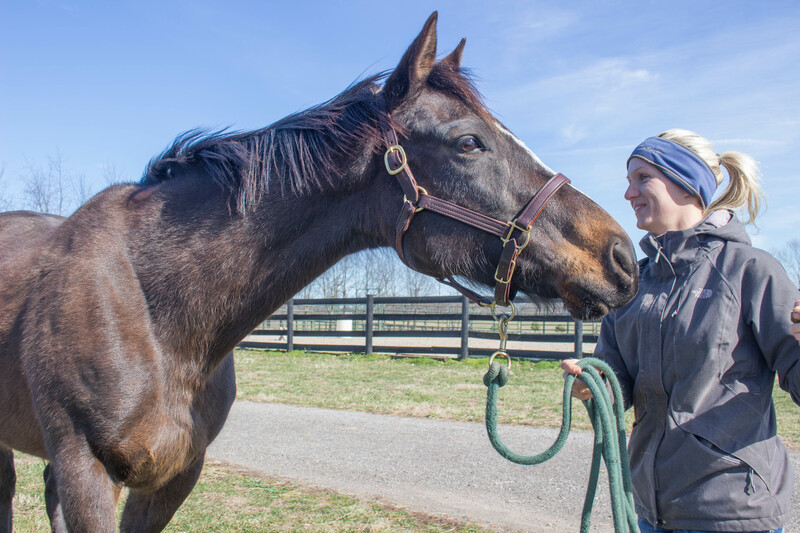 Annora arrived Nov. 16 and through attempts to identify her, the KyEHC found that she had published works after July 1, 2015, thereby making her eligible to compete in the 2017 Thoroughbred Makeover Oct. 5-8 at the Kentucky Horse Park. "She never raced but she was in training," said Olivia Dixon, trainer at KyEHC. "For a horse to come from that big mess, and to be the 'spokeshorse' for our rescue at the Makeover (is incredible); to show people that just because a horse has been abandoned or neglected at some point in their life, doesn't mean they can't turn around and do good things." Dixon hasn't chosen a discipline for her and Annora to show off their skills, but she's leaning toward competitive trail since she's feels it sets up horses to easily enter other disciplines later in life. Ultimately, Dixon said it's Annora's decision. "Some people pick one discipline and they try to fit the horse to that," she said. "But you find out what the horse is good at and let them be good at that and build their confidence." Although she hasn't ridden her too much, Dixon said the therapy Annora is receiving, made possible by a number of donors including After The Finish Line, will help her reach her full potential. Annora is up for adoption and the KyEHC thinks that she'll catch someone's eye at the Makeover. "Now that Sarah's been working with her, she's been really willing to kind of step out under saddle and move a lot nicer. It's going to help her showcase herself to the best of her abilities," Dixon said. "It's obvious through her temperament that she's been taken care of at some point in her life and she really does like people. I think there's a lot of hope for her to find a good home after the makeover."